Thirteen years later, Mills was still leading those meetings, and in the autumn of 1898, he encouraged the “Old Boys” of the Conservatory to invite the “New Boys” to a “get-acquainted” reception. A discussion about forming a music club took place among some of the men who attended that reception, and there being considerable interest in the idea, a meeting was planned for the evening of October 6 to explore the possibilities further. At that meeting, the club was born, and Frank Leslie Stone was elected its President. The Object of this Fraternity shall be for the development of the best and truest fraternal spirit; the mutual welfare and brotherhood of musical students; the advancement of music in America, and a loyalty to the Alma Mater. By October 1899 the club numbered about fifty men and continued to add members at frequent intervals. Sinfonia’s outstanding success gave rise to thoughts of national expansion, especially to Ralph Howard Pendleton, the first man to suggest the idea. It seemed that if the Sinfonia Club was fulfilling a need at the New England Conservatory, then surely men at other conservatories in the country could benefit from a similar organization. Large Greek-letter fraternities flourished on college campuses, but there was no society for men in music. Why not establish a “secret and national male student’s musical fraternity” at conservatories and music schools coast to coast? The men of Boston’s Sinfonia, however, were by no means of one mind on the question of expansion; at a meeting on October 1, 1900, to discuss the issue, arguments pro and con were vigorous, and tempers grew hot. In the end, a majority agreed to spend $25.00 from the club’s treasury (which then totaled $34.00) to send men to New York, Philadelphia, and Washington to present the idea of Sinfonia firsthand to male students of the leading conservatories. The expedition attracted notice far outside the student world and was mentioned in leading newspapers and magazines. At the dawn of the twentieth century, the foremost masters were Europeans, and even American audiences and conservatories would recognize a musician only if he had a background of European instruction. No matter what a man’s ability, he could not expect to advance without the proper European pedigree. This intensified the competition among talented American musicians for the few positions available to them. The field of music was notorious for petty hostilities among musicians, and there was “an unhealthy rivalry and a definite distrust” between schools of music. By promoting true brotherhood, harmony and mutual support among musicians, Sinfonia’s founders overturned the dominant condition of hostility and revolutionized music in America. The bond of Sinfonia brotherhood was shared among the composers, conductors, and supporters of a uniquely American classical idiom: George Chadwick, Arthur Foote and Horatio Parker of “The Boston Six” (the Second New England School of composers); Arthur Whiting, Wallace Goodrich, F. S. Converse and Henry Hadley (who all studied under Chadwick); Henry Lee Higginson, founder of the Boston Symphony; and Theodore Thomas, founder and first conductor of the Chicago Symphony and conductor of the New York Philharmonic. These men knew each other as brothers, and they worked together with joy and enthusiasm as the new American music made its way on the programs of the greatest Symphonies in America as well as those of Europe. The rapid rate of expansion that followed grew out of this atmosphere. By its twenty-fifth year, the Fraternity had grown to twenty-five chapters. It doubled in the five years that followed. It was in this period that Sinfonia experienced its “Golden Age,” when labors of influential and selfless leaders such as Ossian Mills, Percy Jewett Burrell, Peter W. Dykema and Thomas E. Dewey brought forth a national Sinfonia that earned the great respect of students and educators alike and truly became a force in American music. Sinfonia continued to flourish in the 1920s under the dynamic leadership of Peter Dykema (Phi), a man of great energies and foresight whose effect on American music education is felt to this day. The Fraternity stressed quality in its programs, which was reflected in a series of exemplary publications written by a young first-year law student at the University of Michigan, Thomas Dewey (Epsilon), who at the time was equally well known for a “fine baritone voice.” As National Historian, Dewey insisted on quality, often returning articles to their authors with instructions to improve them. His efforts resulted in a feeling of pride throughout the Fraternity that helped to power Sinfonia’s rapid growth. Dewey later transformed those same standards and values into an outstanding political career that carried him to the Governorship of New York and just short of the Presidency of the United States in 1948. After America’s victory in World War II, the idea that American music was inferior became a thing of the past. The insecurity among American musicians that had given Sinfonia so much urgency before the wars vanished. The draft in wartime had made it virtually impossible to maintain anything other than a shell of the organization since many schools could claim fewer than ten male students enrolled. Then, with the introduction of the GI bill, came a massive influx of men into the nation’s music programs after the war. The increased numbers gave the appearance of health, but that perception brought complacency toward the values that had seemed so urgent before the wars. The Fraternity’s leaders questioned, “what interest could fraternity membership have for these men” who were older and more mature than the usual college student. At this time, the primary emphasis on developing brotherhood and ideals among musicians was laid aside to promote the Fraternity’s professional value to its members. When the scorn of established institutions that characterized the 1960s hit Phi Mu Alpha Sinfonia, the Fraternity was hard pressed to preserve the vestiges of its past that remained. Brotherhood, ideals, symbols, and Ritual – all the hallmarks of a fraternal society that had once been central – were diminished. 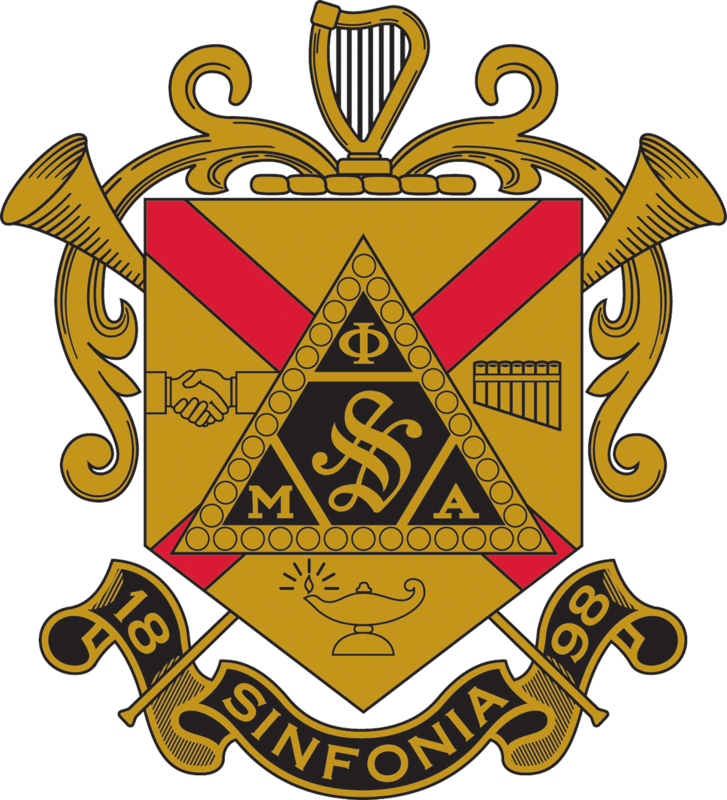 The early years were misrepresented as “the old closed-door days” when “whispered rites and mysterious signals” were separate from “the work-a-day world of music.” In an attempt to distinguish Phi Mu Alpha from other fraternities and attract membership, its leaders began an active campaign to characterize Sinfonia as “the professional fraternity for men in music,” a designation that became a source of pride and distinction for several generations of Sinfonians. In 1970, the Fraternity’s statement of purpose was rewritten to “place increased emphasis upon professionalism.” The founders had called the development of fraternal spirit our “chief purpose,” but the new purposes turned this inside-out, stating that the “primary purpose” was to promote music and that fraternal spirit and mutual support were “further purposes.” The national office proclaimed: “the ‘old frat’ is gone.” However, only two years later, the U.S. Education Amendments were adopted, including Title IX, which requires “professional” fraternities to admit both genders. Sinfonia’s leaders struggled with whether to keep the new “professional” designation or return to the original social status. Ultimately, after initiating just fewer than 250 females, the latter course was chosen. In 1983 the Fraternity received a much sought-after exemption from Title IX, citing that it had been legally classified as a social fraternity since 1904. The 1985 National Assembly affirmed this, voting to limit initiation and chapter membership to men only, and to remove from the Constitution the statement that “Phi Mu Alpha is a fraternity representing the music profession.” Sinfonia’s interlude as a “professional fraternity” was officially over.